Cardiovascular Diseases (CVDs) are common, but in many cases can be avoided. Atherosclerosis and venous thrombosis are the two major manifestations of CVD. Both are caused by complex interactions of environmental and genetic parameters. An unhealthy lifestyle in combination with certain genetic variants can contribute to atherosclerosis. Relevant genes include those involved in endothelial dysfunction, hyperlipidemia, hypertension, and inflammation. A combination of adverse influences (female hormone intake, immobilization, surgery or cancer) and variations in genes responsible for the coagulation system can also lead to thrombosis. Testing for genetic variations and adequate prophylaxis contributes to lower CVD risks. 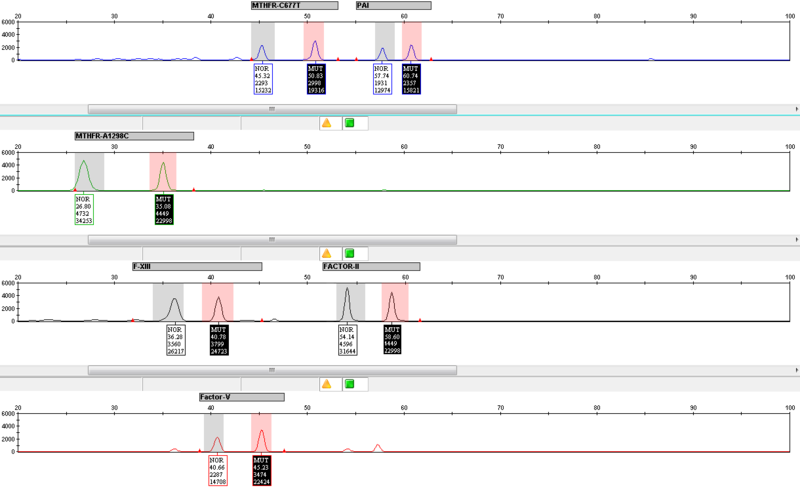 The system allows the detection and genotyping of a single point mutation of the human MTHFR gene at position c.677 (C to T) and c.1298 (A to C), Prothrombin (Factor II) gene at position 20210 (3′ untranslated region) (G to A), Factor V gene at position c.1691 (G>A, Leiden R506Q), FXIII (A1) gene at position codon 34 (G to T, V34L) and SERPINE1 (PAI1) at promoter site -675 (4G/5G) in the multiplex system containing six primer pairs for target amplification and twelve single-base-specific DNA probes for SNP (Single Nucleotide Polymorphism) detection. 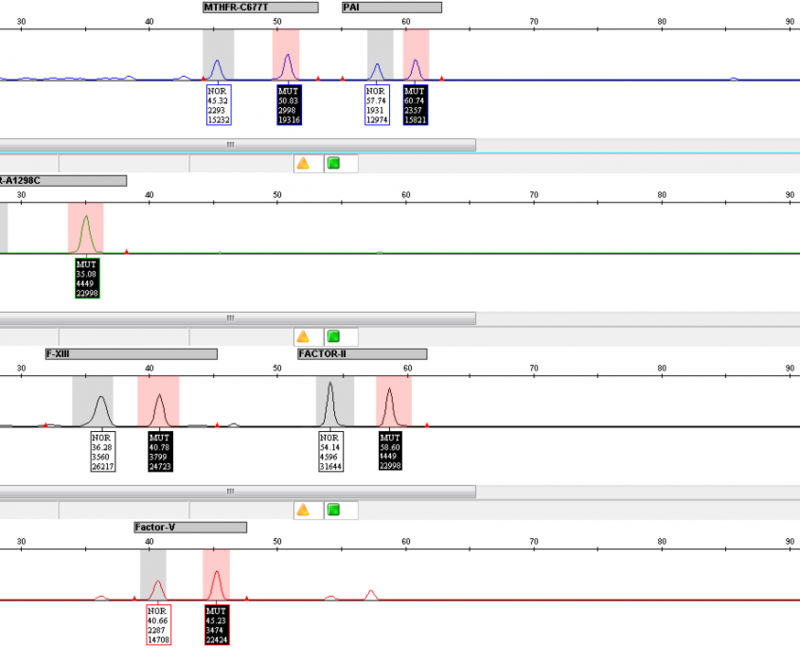 The kit which is intended for use on Applied Biosystems ABI PRISM® sequencers uses a five-dye fluorescent system allowing multiplex amplification/ligation in the same tube for automated SNP analysis. Incorporates an external control with a heterozygous pattern for all related mutations to ensure the performance and reliability. Wide range of DNA concentration (2 to 100ng/ml) and low DNA quality requirement (A260/A280 = 0.9 to 2.2) gives opportunity to use all type of specimens without DNA calculation and dilution. Minimal material and chemical consumption.